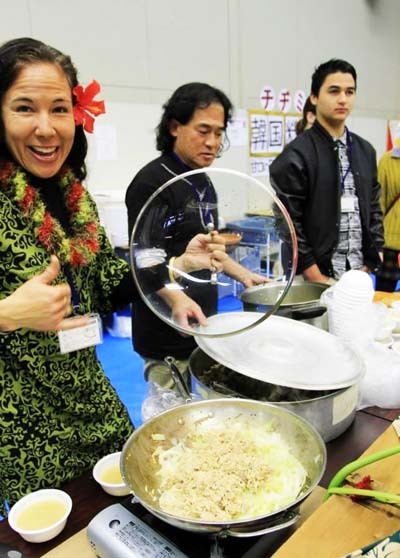 Nago International Association home cooked food fair is a very popular event. Nago International Association is organizing its annual home cooking fair titled “Eat the World in Nago” on Sunday, Feb. 7th, from 11:30 to 15:00 at Nago Civic Hall. Most foods at the fair are cooked at the venue. 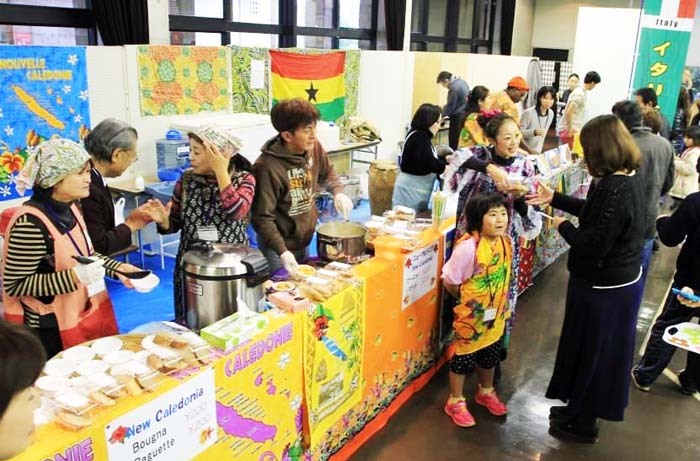 The fair that is organized for the 19th time features ethnic foods from various parts of the world cooked for the event by people residing in Nago and elsewhere on Okinawa. This year’s event features foods from Thailand, Peru, Taiwan, Italy, Hawaii, New Caledonia, Germany and Okinawa. Foods at the fair range from Lomo Saltado of Peru and Thai Tom Yum seafood and curries to German Gulash and Stollen bread and plenty in between. Tickets to the event cost ¥1,000 and are available in advance at Nago International Center at 487 Miyazato, Nago City or on the 2nd floor of Nago City Hall. They are also available at door, if any are left, as the number of tickets is limited and usually have ran out early in the past. Those who have an advance ticket are served a welcome drink at the reception desk of the fair.